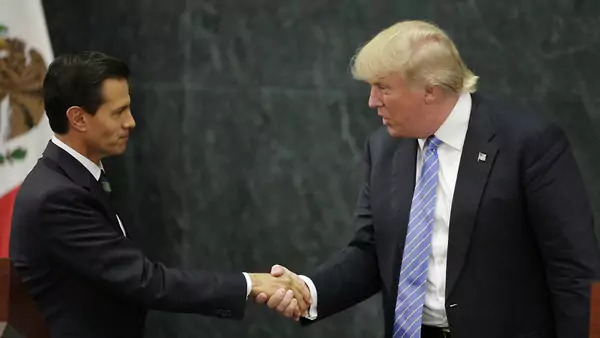 With the finalization of a deal between the United States and Mexico to revise the North American Free Trade Agreement (NAFTA), President Donald J. Trump’s approach to trade negotiations is about to get its biggest test yet. Can his heavy-handed tactic of threatening allies and imposing tariffs succeed in forcing other countries to revise trade rules in ways that favor the United States? The deal announced this week must be seen as a partial victory. Both countries demonstrated considerable flexibility—Mexico in agreeing to changes in the rules for auto production that should push some jobs back to its northern neighbor and the United States in watering down some of its most extreme demands, such as a stipulation for U.S. content in car manufacturing and a sunset clause. A cold shoulder for Canada? The real test will be with Canada. After watching from the sidelines as the United States and Mexico made a bilateral deal, Ottawa now faces a series of controversial demands under the threat of a Friday deadline. Trump has stated clearly that he is prepared to stick with a bilateral agreement with Mexico and leave Canada out. The disagreements are severe. The United States and Mexico have agreed to a series of provisions that are anathema to Canada, including the elimination of special dispute settlement provisions and additional protections for brand-name drugs that Canada had refused in negotiations for the Trans-Pacific Partnership (TPP) trade pact. If Canada is ultimately excluded, Trump’s deal with Mexico will be far more trade-disrupting than it is trade-enhancing. Auto trade, for instance, is deeply integrated across North America, and a NAFTA without Canada would force a radical reconfiguration of those supply chains. The other wild card is Congress. While Trump is pushing to send notification of the deal over to lawmakers quickly, any vote will wait until the new session of Congress, following November midterm elections. This means that the House of Representatives, at least, is likely to be controlled by the Democrats, and they are unlikely to do Trump any favors, especially since the deal appears to do little about the party’s concerns over labor rights in Mexico. Meanwhile, business is unhappy with other aspects of the deal, such as the weakening of investor-state dispute resolution mechanisms that protect their investments in Mexico. That could cost some Republican votes. The best that can be said of the deal is that it is a bold step—one that indicates the Trump administration is prepared to actually negotiate new trade agreements and not just use tariffs to protect the U.S. market. But the obstacles ahead loom large.